Few cities in the U.S. are brimming with as much well-preserved, irresistible architecture as New Orleans. Think about it: There are 20 historic districts on the National Register in this city! We have French doors, Caribbean colors, high ceilings, wrought-iron fences, stucco exteriors, wooden shutters, hardwood floors, antique mantels, and lush tropical courtyards. The French Quarter in particular is great for exploring as you’ll find lots of examples of Creole cottages and townhouses, plus the ubiquitous shotguns and camelbacks dating back to the 19th century. Then there are those seductive courtyards with gurgling fountains and bursting with flora, plus all the unique porches and lacy Victorian ironwork. Below are our suggestions on how to best view the architecture of the French Quarter — either with a guided tour or by walking on your own — with the focus on historically significant 19th-century buildings. Whether you decide to go inside some of those, or to just admire the exterior, unveiling the city’s colorful past with these gems is as easy as taking a stroll. The Historic New Orleans Collection offers docent-led tours of buildings and courtyards with emphasis on their architectural styles and the history of their residents (533 Royal St., $5/person, 45 mins.). THNOC also offers free, self-guided iPod and cell phone tours (check the website for instructions). Locations include the Merieult House (533 Royal St.), the Williams Residence (718 Toulouse St.), and the Louis Adam House (722 Toulouse St.). Explore French and Spanish Colonial and Greek Revival styles by taking a walking tour with New Orleans Architecture Tours ($30/person, 2 hrs). You’ll get to see St. Louis Cathedral, Ursuline Convent, Napoleon House, and witness four types of Creole townhouses during this tour. Preservation Resource Center also offers guided tours. They are seasonal and have specific themes, so please check the website for tour info. With fires in 1788 and 1794, and a post-Louisiana Purchase Victorian makeover on the Quarter, only a handful of “first-generation” Creole buildings in the original French colonial style have survived. Most buildings you see today are “second-generation” Creole and Greek Revival. 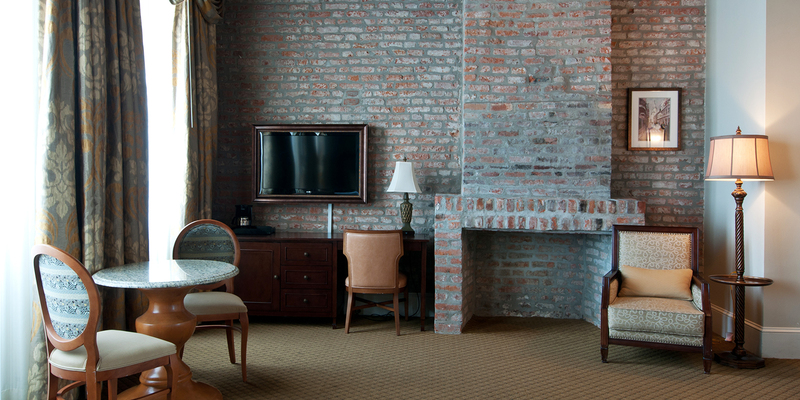 The 1820s were hailed as the most thriving decade in terms of adding to the structure of the French Quarter we’re seeing today, with elements of French and Spanish colonial, and Caribbean influences. During that time, the original Spanish architecture was gradually replaced. To prevent fires, strict building codes were enforced, and a lot of brick was introduced to replace the wood. Built in the late 1840s by the Baroness Micaela Almonester Pontalba, the Lower and Upper Pontalba Buildings flank the sides of Jackson Square. The Upper Pontalba buildings at 1008 N. Peters St. house residential apartments, but you can tour the 1850 House of the Lower Pontalba Buildings to get a glimpse at how the upper middle class lived in prosperous antebellum New Orleans. Built in 1835, the Old U.S. Mint served as both a U.S. and a Confederate Mint. Now a museum, research facility and site for music festivals and performances, the building houses several exhibits, including its permanent collection. You’ll find a display of coins and stamping presses, and a jazz exhibit with Louis Armstrong’s first cornet, plus historic recordings and rare film footage. Current exhibits explore the life of Louis Armstrong, showcase Southern art, and display a collection of musical instruments, including Fats Domino’s Steinway grand piano. 1113 Chartres St., $10; 45 mins. Built by Confederate General Pierre Gustave Toutant Beauregard in 1826, the Beauregard-Keyes House stands opposite the old Ursuline Convent, boasting a splendid garden and lavish interior. The house changed hands many times and is now owned by the Keyes Foundation, which was established by the late resident, Frances Parkinson Keyes, who has restored the house. Tour the gilded Victorian splendor of Gallier House, designed by a prominent architect, James Gallier, more than 150 years ago. The house is full of antique children’s toys, chandeliers, and period art that reflect life in New Orleans at that time. The tour touches upon the lives of enslaved people and domestic servants who made this luxurious lifestyle possible. For the summer, portions of the house are redecorated in the “Summer Dress” tradition of protecting the furnishings from the elements and the insects, to show what life was like here during the hot months — before air conditioning, fans and screens. 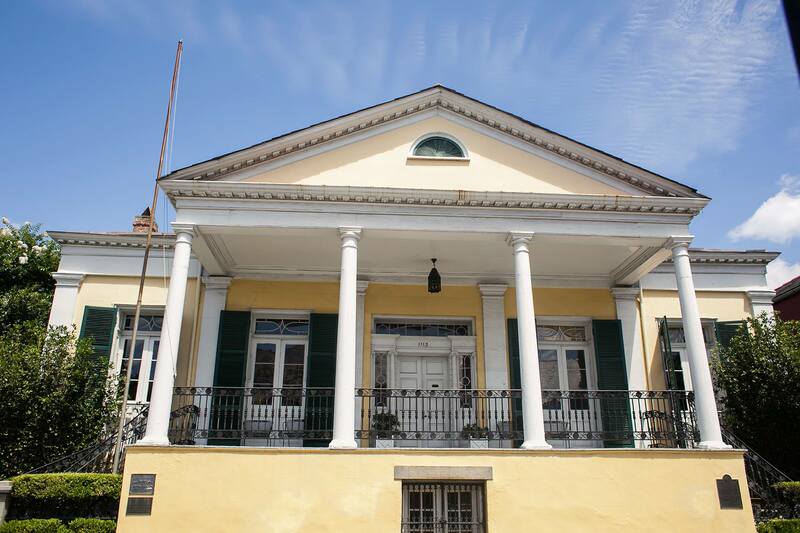 This restored Federal mansion was built in 1831 and features the only working open-hearth kitchen in New Orleans. The interior is furnished with period pieces and historically accurate reproductions of carpets and upholstery. Both the house, adjacent outbuildings and the courtyard tell a story of what life was like for wealthy Creole families in the 1830-1860s. November through April, open-hearth cooking demonstrations are offered in the outdoor kitchen, using traditional recipes and techniques of the 19th century. Always a hit with visitors and locals alike, the intricately decorated wrought-iron balconies, gates, doors, and fences of the French Quarter are a timeless treasure. To take it all in, try walking the length of Royal or Chartres streets from Esplanade to Jackson Square.